Land an awesome internship by asking a few good questions during your interview. This is what you want to ask at an internship interview. Interviewing for an internship is a little different than interviewing for a permanent job. One thing is the same, however: You’ll probably be invited to ask your prospective employer questions at some point—and you should be prepared to ask some good ones. Expressing your interest in feedback will help show you’re interested in learning, focused on professional growth and willing to be taught, says Kate McKeon, CEO of Prepwise. Ask what tasks or skills you may be evaluated on, and who will be performing your evaluations. How long have you been offering internships? For some interns, it may not be a good fit to work with an employer that lacks established procedures, rules, and so on. How have you managed interns in the past? Asking about the company’s past experience with interns can help give you more information about what it will expect from you. 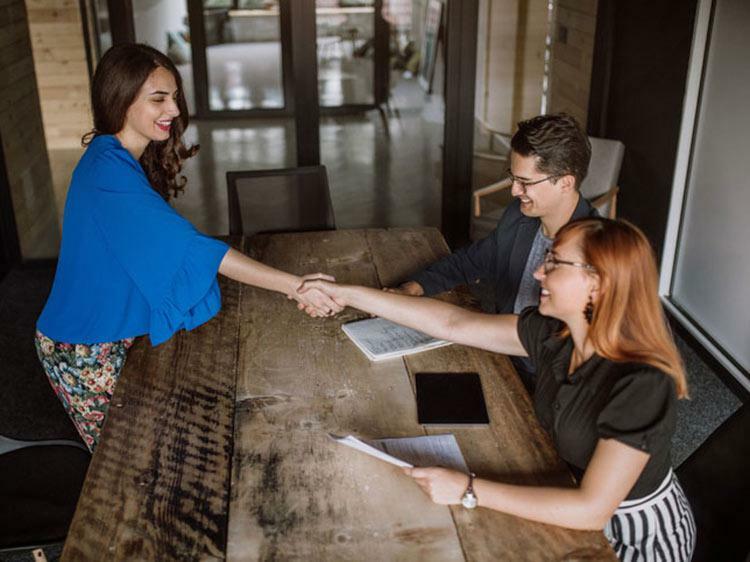 Jennifer Brown, founder and CEO of PeopleTactics, suggests asking what made past interns successful, and how you could best make a valuable contribution through your internship, if hired. “The questions will not only show that you view the internship as way to develop your skills, but to also help the company,” she says. In addition, the answers will help you figure out if the company sees the internship as an opportunity to help you develop your skills, or simply an opportunity to bring someone on to help with menial tasks. This will help you find out about any scheduling expectations managers have for the position, such as your office hours and breaks. Knowing from the start whether overtime or late nights at the office are expected can help prospective interns find a work environment that fits with their schedule and fosters their professional growth, says Donna Ledbetter, author of Graduate School for Working Adults. In some organizations, interns are assigned to work for a specific person or department, while in others they’re pooled together, Schmoke says. In a pool situation, interns may not have a chance to establish a good relationship with a mentor, or may only get a high-level view of the organization rather than a deeper dive into a specific function. On the other hand, groups of interns may be able to work on larger, higher-profile projects than individuals ones do. How much interaction will I have with other employees? Could you tell me more about the company’s...? How often do you hire interns for full-time jobs? It's never too early to find out whether the company considers interns as potential employees,” Schmoke says. But even if it doesn't work out after graduation, you can still leverage your internship experience to help you get your first job out of college. An internship can help open doors down the line, so excelling in the interview should be on the top of your mind. Could you use some help learning how to come across as polished and professional, even if you don't have years of workforce experience under your belt? Join Monster today. As a member, you'll get interview insights, career advice, and job search tips sent directly to your inbox. Monster can help you craft strong answers that highlight your eagerness, skill set, and the value you'd bring to the company. It's never too early to kick-off an awesome career.